A super A5 – 148 X 210mm – size perfect bound notebook. Gloss finish containing 75 sheets of plain paper. Cornwall One And All logo to bottom right. Start your first bestseller,based in Cornwall of course! 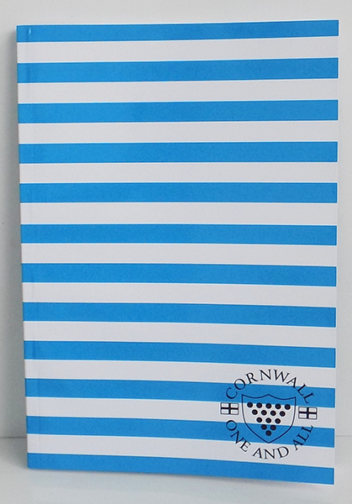 Great for recipes, complementing your iconic Cornishware. 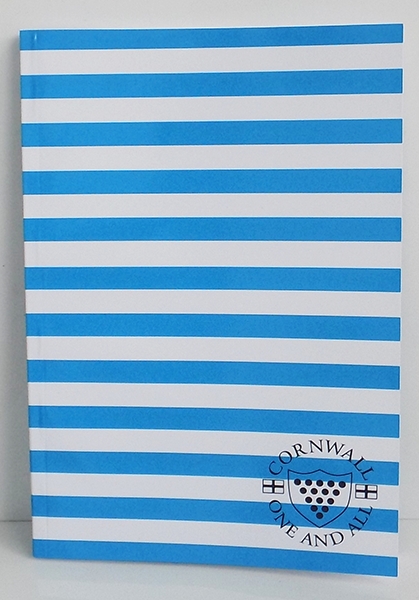 A perfect Cornish holiday journal, ideal for meetings or shopping lists. Anytime or anywhere you need to make a note, MAKE IT A CORNISH ONE!